Somewhere in Halfords' Marketing Department, there is a Venn diagram with one circle labelled "spends £8000 on a bike " and the other labelled "doesn't google dealer reputations", and the overlap on those circles is apparently huge. To be honest, I think Halfords perhaps get the wrong end of a lot of bike snobbery. The general perception is that the Carrera brand is overweight, and they'll build it badly, and that the Boardman brand is pretty good, but they'll build it badly. But you know what? If you're on an inexpensive bike (and I think the majority of cyclists in the UK are still pretty much commuting/leisure cyclists rather than club riders or sportive junkies) and you need a seatpost, or a cable or an inner tube, the chances are Halfords has sorted you out without rifling your wallet. Fair play to them. 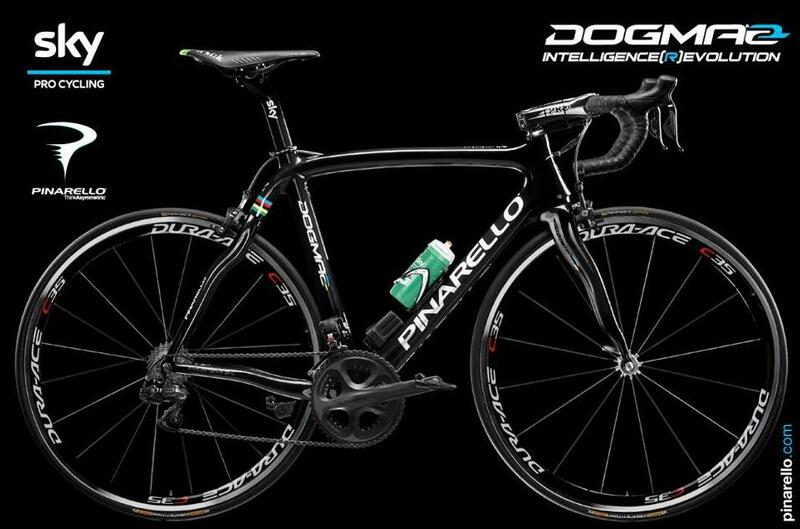 Becoming a Pinarello dealer though? That's a sizeable step in the other direction. The idea that anyone who cares enough about bikes to buy a Pinarello is going to be willing to have it assembled by the Saturday kid from the Bass Tubes and Stereos department is ridiculous. These are kids doing part-time work. It's not their career, or their life's passion; they aren't working in an independent bike shop in the hope of becoming a famous wheelbuilder. They're working in a high street shop that sells more Castrol GTX and Richard Hammond videos than it does bikes. They're 17 years old and they've got things on their mind other than figuring out which way round the wobbly carbon forks go on your new Dogma 2.0, or adequately wiring up its Di2 Electric shifter. That's as it should be, frankly, if you want disposable labour. Let's not pretend that the £3.68 minimum wage paid to an under-18 is somehow buying you their enthusiastic fealty. When I was 17 I worked for minimum wage at a Happy Eater and you should have seen the blasé fashion in which I cooked your dinner. Sorry, I was busy thinking about Heavy Metal, white cider and cheap grass. You really wouldn't have wanted me fitting the brakes that are going to stop you on your way down the Cat and Fiddle. I know that cycling is at an all-time high in popularity, and I understand that for young city types it has replaced poker as the willy-bashing pastime du jour, but I still don't believe there are many people out there who care enough about cycling to buy bikes that start at £3,000 but don't care enough to buy them from a place that will put them together properly. 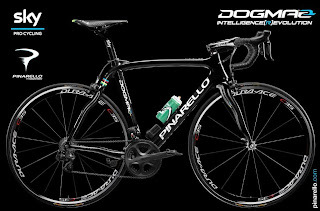 The saddest prediction of all, and one that feels painfully likely, is that Halfords' will be able to undercut smaller Pinarello dealers and will flog a shedload of Italian beauties with shifters positioned at 45 degrees and saddles run forward on their rails. Then those dealers who should have had a £3,000 sale will have to be grateful for the chance to charge 25 quid here and there to repair and reassemble badly-built bikes that they would have built properly in the first place. Some people are probably grumbling that this is only what you should expect when Italian frame builders start putting Japanese components on their bikes. The cycling equivalent of red skies and a rain of frogs, that is. If only they'd gone with Campag.